Presenting at the 2018 annual meeting of the American Society of Hematology, Dutch company uniQure showed positive results for its phase I/II trial in patients with hemophilia B. People with hemophilia B are deficient in the blood-clotting protein factor IX, which can cause life-threatening bleeds. In contrast to current treatments, which involve injections of synthetic factor IX several times per week, uniQure’s gene therapy showed benefits even up to two and a half years after injection. Patients treated with the gene therapy showed almost no bleeds, and the annual need for synthetic factor IX fell by 93% in the high dose cohort. Furthermore, unlike current treatments, this gene therapy produced no treatment resistance, making it viable in the long term. Another gene therapy announced by uniQure is in an ongoing phase IIa trial in three patients with hemophilia B, who have shown no bleeding nor any need for synthetic factor IX protein so far. Matt Kapusta, CEO of uniQure, stated that this therapy could provide a functional cure for patients with hemophilia B, with a phase III trial scheduled in 2019. Raising €107M earlier this year, the company is also developing gene therapies for other diseases such as Huntingdon’s disease. The hemophilia B gene therapy candidate from UK company Freeline also showed good results from an ongoing phase I/II trial. By nine months after injection, the treatment completely stopped bleeds and the need for synthetic factor IX in two patients. The CEO of Freeline, Anne Prener, stated that the company is aiming to make this gene therapy into a functional cure for hemophilia B patients. Both Freeline and uniQure’s gene therapies are designed to deliver the healthy factor IX gene to the liver, which makes the protein, but their therapies use distinct viral vectors for the delivery. In an ongoing phase I/II trial, announced by the Swiss company Aruvant Sciences, the company’s gene therapy had positive effects in two patients with sickle cell disease. 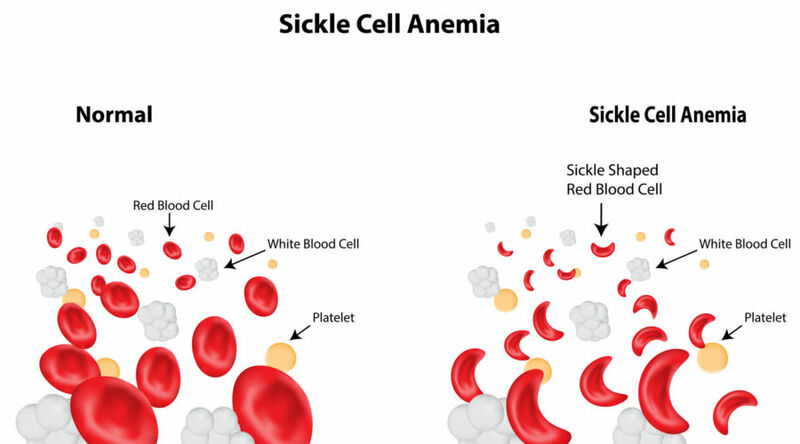 Patients with sickle cell disease express faulty hemoglobin, making their red blood cells sickle-shaped, and prone to causing painful blood clots. Aruvant’s treatment modifies the patient’s blood stem cells to express fetal hemoglobin and grafts them into the bone marrow. In the company’s clinical trial, the treatment reduced blot clots and increased the amount of healthy hemoglobin in the patients for over one year. Gene therapy has big potential for blood disorders like hemophilia, and is becoming a big market. Some companies are turning to the gene-editing technique CRISPR-Cas9 as a tool for fighting the disorders, such as CRISPR Therapeutics. This company is running a phase I/II trialof its CRISPR technique to treat sickle cell disease in collaboration with the German company Vertex Pharmaceuticals.